Astronomie-History - 1985: Prof.Haber berichtet: LEBEN AUF FREMDEN PLANETEN ? Planet Erde - Studie zeigt, nahezu völliges Fehlen von Mikroben im University Tal der Antarktis. 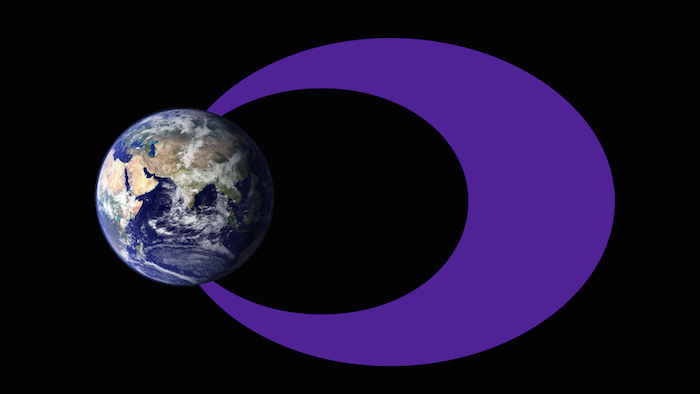 (Illustration) The traditional idea of the radiation belts includes a larger, more dynamic outer belt and a smaller, more stable inner belt with an empty slot region separating the two. However, a new study based on data from NASA’s Van Allen Probes shows that all three regions — the inner belt, slot region and outer belt — can appear different depending on the energy of electrons considered and general conditions in the magnetosphere. (Illustration) At the highest electron energies measured — above 1 megaelectron volt (Mev) — researchers saw electrons in the outer belt only. About 600 miles from Earth’s surface is the first of two donut-shaped electron swarms, known as the Van Allen Belts, or the radiation belts. Understanding the shape and size of the belts, which can shrink and swell in response to incoming radiation from the sun, is crucial for protecting our technology in space. The harsh radiation isn't good for satellites’ health, so scientists wish to know just which orbits could be jeopardized in different situations. Since the 1950s, when scientists first began forming a picture of these rings of energetic particles, our understanding of their shape has largely remained unchanged — a small, inner belt, a largely-empty space known as the slot region, and then the outer belt, which is dominated by electrons and which is the larger and more dynamic of the two. But a new study of data from NASA’s Van Allen Probes reveals that the story may not be so simple. Rather than the classic picture of the radiation belts — small inner belt, empty slot region and larger outer belt — this new analysis reveals that the shape can vary from a single, continuous belt with no slot region, to a larger inner belt with a smaller outer belt, to no inner belt at all. Many of the differences are accounted for by considering electrons at different energy levels separately. The researchers found that the inner belt — the smaller belt in the classic picture of the belts — is much larger than the outer belt when observing electrons with low energies, while the outer belt is larger when observing electrons at higher energies. At the very highest energies, the inner belt structure is missing completely. So, depending on what one focuses on, the radiation belts can appear to have very different structures simultaneously. These structures are further altered by geomagnetic storms. When fast-moving magnetic material from the sun — in the form of high-speed solar wind streams or coronal mass ejections — collide with Earth’s magnetic field, they send it oscillating, creating a geomagnetic storm. Geomagnetic storms can increase or decrease the number of energetic electrons in the radiation belts temporarily, though the belts return to their normal configuration after a time. These storm-driven electron increases and decreases are currently unpredictable, without a clear pattern showing what type or strength of storm will yield what outcomes. There’s a saying in the space physics community: if you’ve seen one geomagnetic storm, you’ve seen one geomagnetic storm. As it turns out, those observations have largely been based on electrons at only a few energy levels. Often, the outer electron belt expands inwards toward the inner belt during geomagnetic storms, completely filling in the slot region with lower-energy electrons and forming one huge radiation belt. At lower energies, the slot forms further from Earth, producing an inner belt that is bigger than the outer belt. At higher energies, the slot forms closer to Earth, reversing the comparative sizes. 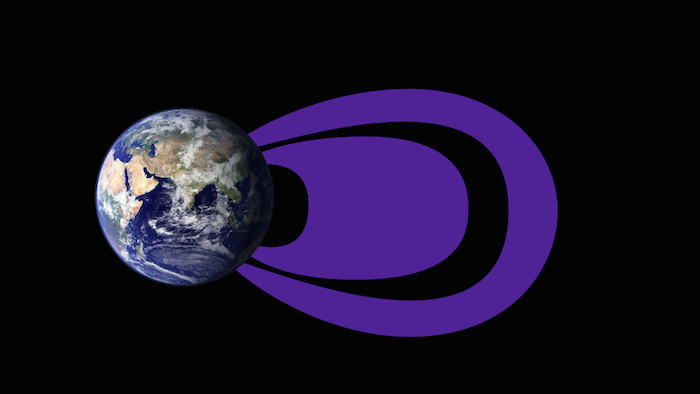 The twin Van Allen Probes satellites expand the range of energetic electron data we can capture. In addition to studying the extremely high-energy electrons — carrying millions of electron volts — that had been studied before, the Van Allen Probes can capture information on lower-energy electrons that contain only a few thousand electron volts. Additionally, the spacecraft measure radiation belt electrons at a greater number of distinct energies than was previously possible. “Despite the proton noise, the Van Allen Probes can unambiguously identify the energies of the electrons it’s measuring,” said Reeves. The Johns Hopkins Applied Physics Laboratory in Laurel, Maryland, built and operates the Van Allen Probes for NASA's Science Mission Directorate. The mission is the second mission in NASA's Living With a Star program, managed by NASA's Goddard Space Flight Center in Greenbelt, Maryland. 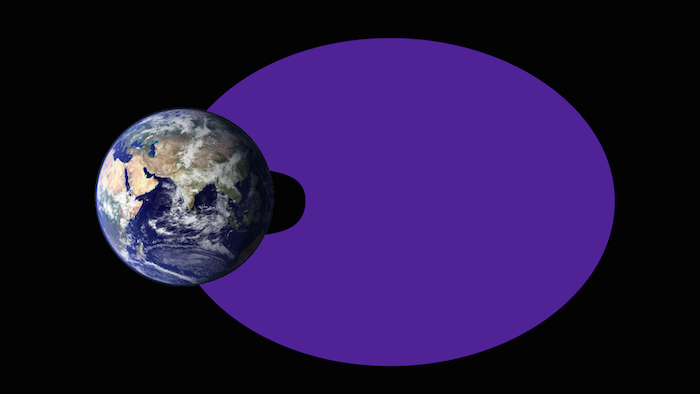 (Illustration) The radiation belts look much different at the lowest electron energy levels measured, about 0.1 MeV. Here, the inner belt is much larger than in the traditional picture, expanding into the region that has long been considered part of the empty slot region. The outer belt is diminished and doesn’t expand as far in these lower electron energies. (Illustration) During geomagnetic storms, the empty region between the two belts can fill in completely with lower-energy electrons. Traditionally, scientists thought this slot region filled in only during the most extreme geomagnetic storms happening about once every 10 years. However, new data shows it’s not uncommon for lower-energy electrons — up to 0.8 MeV — to fill this space during almost all geomagnetic storms.